Beachcombers Holiday Cottage has been created out of a 3 storey fishing loft, moments to the Harbour in the scenic fishing village of Mevagissey, Cornwall. Beachcombers caters to your every need, whatever the size of your party, by offering flexible accommodation to suit 2 - 10 guests plus babies. 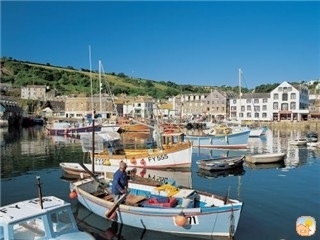 Mevagissey is centrally located on the Cornish Coast and close to marvellous beaches, both Eden / Heligan gardens etc.